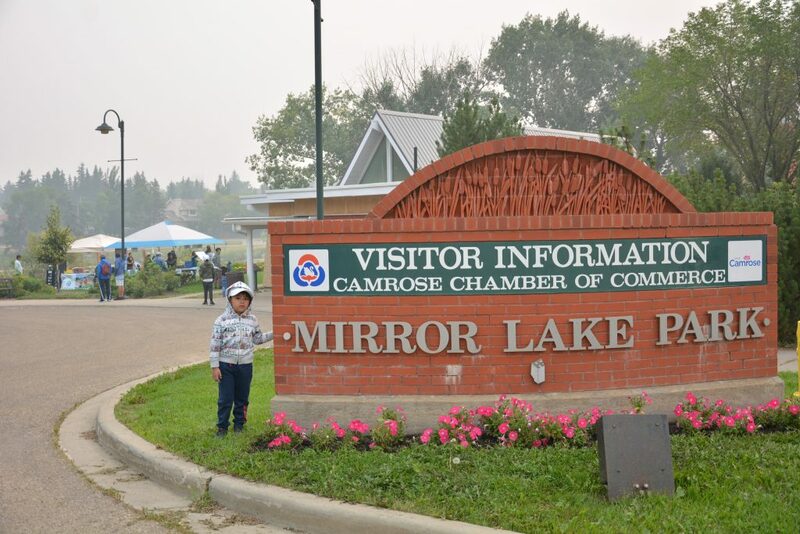 Members of Couples for Christ from six areas in Central Alberta flocked to the Mirror Lake Park, Camrose, Alberta to participate in the second year of ANCOP Walk held on August 18, 2018 at 9 AM. 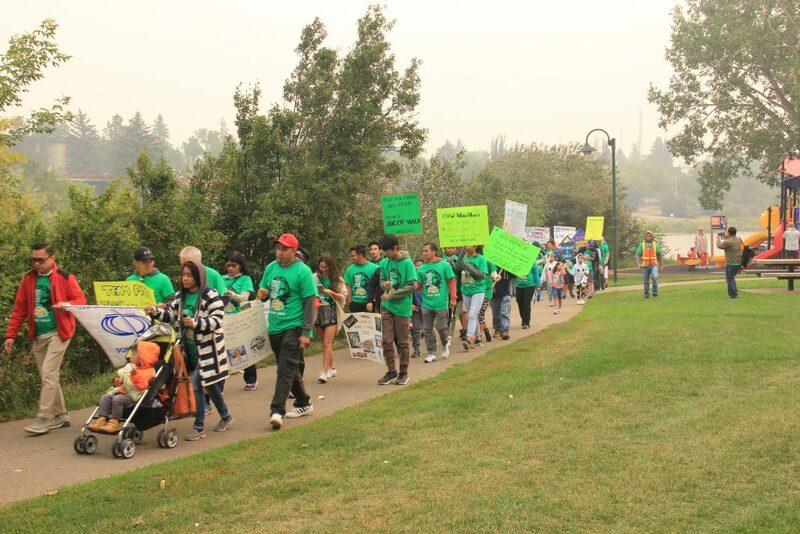 Enthusiastic members from Central Alberta comprised of Red Deer, Ponoka, Camrose, Innisfail, Lacombe and Sylvan Lake, brought their slogan placards and area banners. The strong morning breeze did not dampen the spirit of the participants who drove at least an hour or more to reach Mirror Lake Park. They were greeted by Rev. Fr. 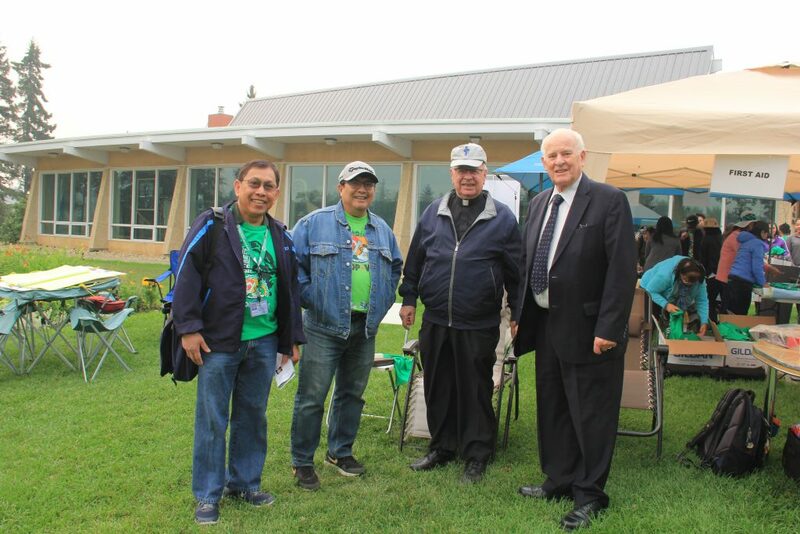 Larry Pederson, Pastor of St. Francis Xavier Catholic Church, Camrose, Alberta, who said the opening prayer and sprinkled holy water to the participants. 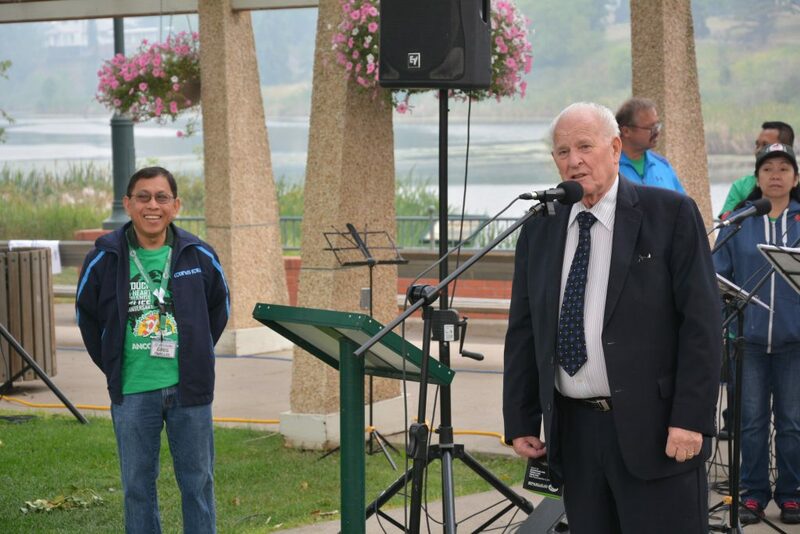 After the blessing, Mayor Norman Mayer of Camrose gave his welcome remarks encouraging everyone to continue its humanitarian work for the poor. The mayor himself gave his personal donation to ANCOP before the start of the program. 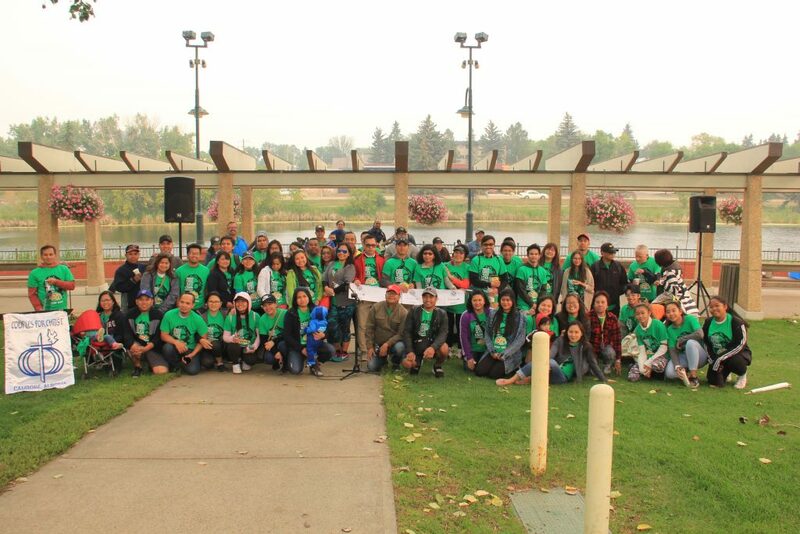 The Music Ministry from CFC Edmonton rendered inspirational praise songs during the event till the end of the Walk. 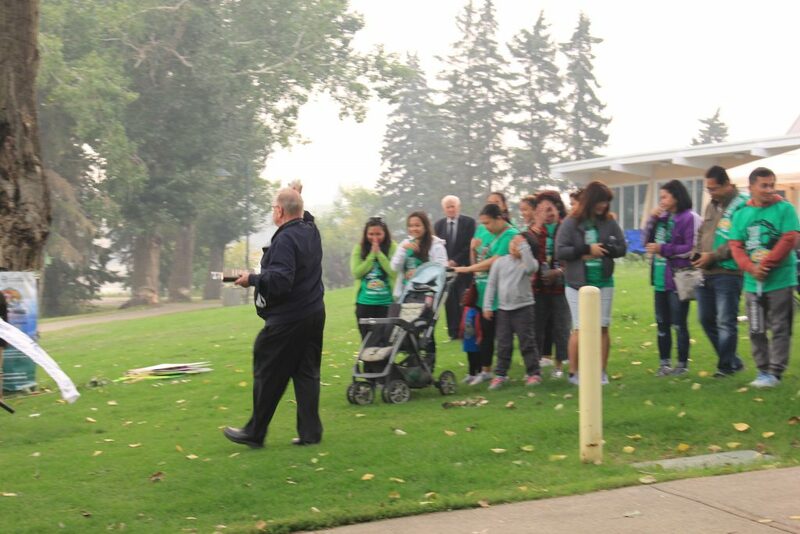 The 30-minute walk was completed by more than 70 walkers accompanied by some volunteers from CFC Edmonton including Henry Gutierrez, CFC Edmonton Area Director, who also gave his welcome message at the start of the program. At the end of the walk, some lucky winners of the raffle draws received their prizes. 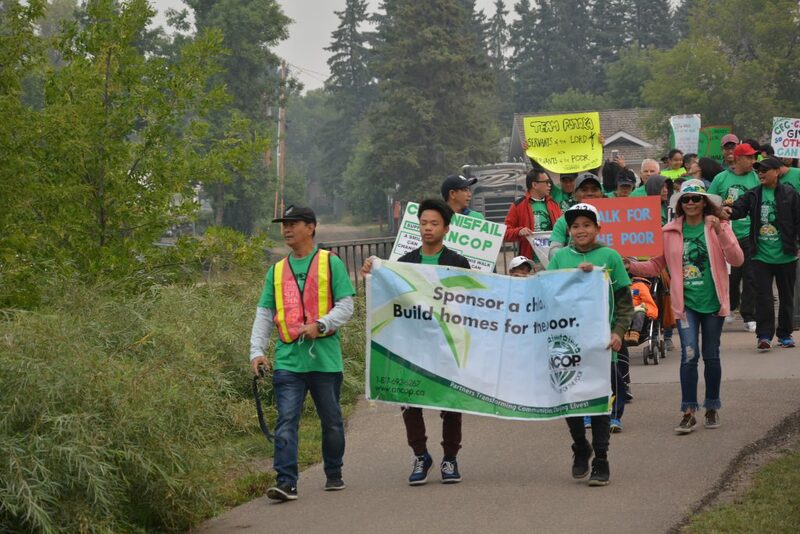 Jojo Molina, Central Alberta Chapter Leader, together with Greg Parillas, ANCOP Area Coordinator, announced that this year’s ANCOP Walk has so far met 80% of the target with a very positive note that the fundraising efforts from each area will continue till September 30, 2018 in order to meet the $7,000 goal. After drawing lots, Ponoka, Alberta has been drawn as the area who will host the 2019 ANCOP Walk in Central Alberta. 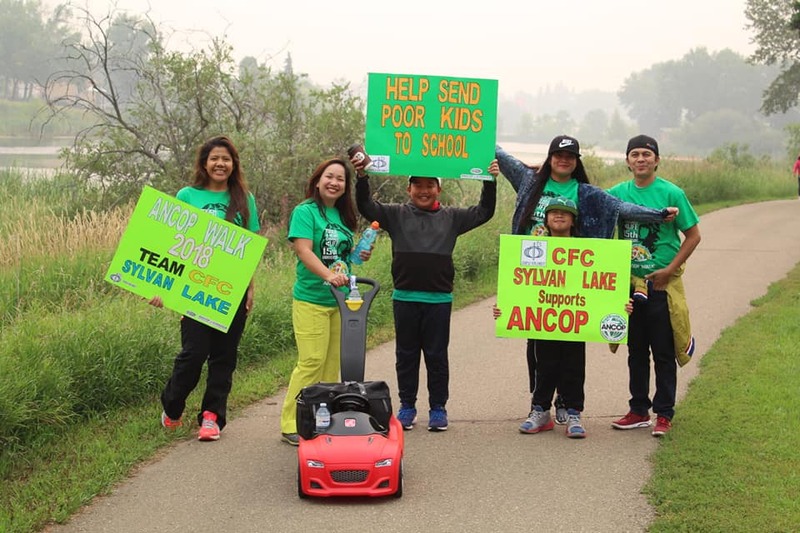 This annual ANCOP Walk has become the biggest family gathering of CFC members in Central Alberta where every family brought food and refreshment to share with one another after the walk.